Is this the Samsung Galaxy S8? It sure looks like it! This looks to be the real deal - could it be revealed in April? 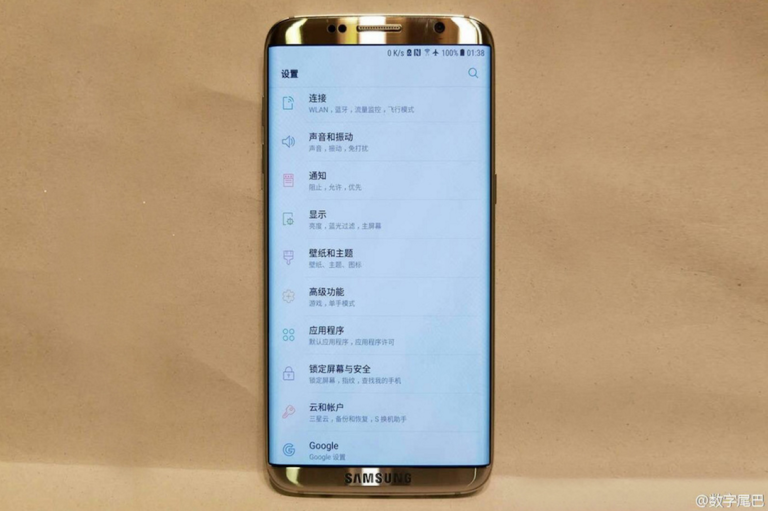 The Samsung Galaxy S8 will have reduced bezels, an increased screen size and a new place for the fingerprint sensor, at least if a leaked image that briefly appeared on the Weibo forum is to be believed. Samsung will remember 2016 for all the wrong reasons — even though the Galaxy S7 was an excellent success, the Note 7 fiasco was terrible and Samsung's whole handset business was tarnished with many believing that, at the time, the problems affected the S7 as well. The S8 has a lot resting on its shoulders then, it has to drag the company out of the burning building (literally) and deliver an incredible flagship smartphone, and if these leaked images are real, it’s doing pretty well so far. The first thing you’ll notice about this image is the ridiculously small bezels the phone is going to have — because the phone dimensions are expected to stay the same, this means Samsung will be giving you a bigger screen for your money too. Rumours have thrown around the idea that the biggest (S8 Edge?) version of the S8 could come with a screen that’s over 6 inches too. You’ll also notice there isn't a home button on the front of the device and that the Samsung logo has been moved to the bottom of the phone. This means that the fingerprint sensor is either being built directly into the front glass or Samsung is following Google and Huawei’s trend of putting the fingerprint sensor on the back of the device. Further details of the phone have also been speculated — there's the possibility of 4K and the potential to include some kind of force touch system akin to what’s currently found on iPhones. April 18th appears to be the date suggested for the reveal of Samsung’s S8. Whether that ends up being the real date or not, this thing is shaping up to be an absolute monster on the inside and outside. What features do you want to see from the Galaxy S8? Let us know in the comments below.